Already a familiar sight to Star Wars collectors, Tardis fans get the stretched treatment with 2016 Topps Doctor Who Tenth Doctor Adventures Widevision. 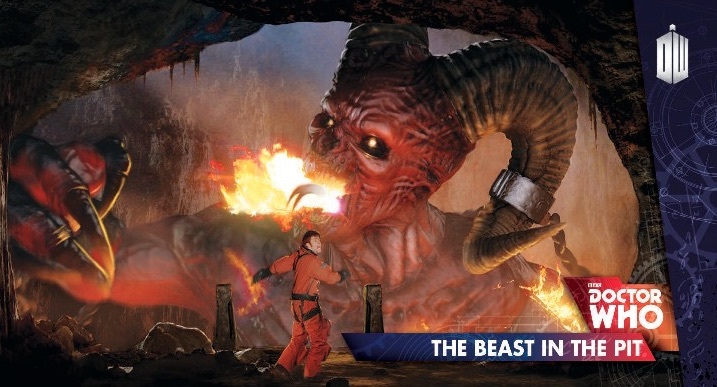 Packaged as a factory release, each box includes the full base set and two autographs. Detailing the episodes from Doctor Who series two to four, including the specials, there are a total of 88 cards in the base set. Joining these cards are 2016 Topps Doctor Who Tenth Doctor Adventures Widevision autographs that include 38 signers. 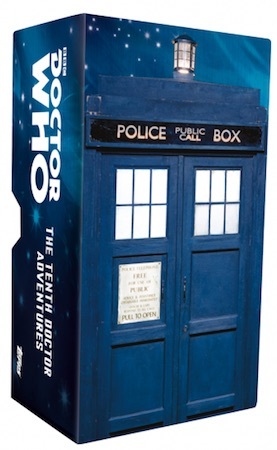 Led by Alex Kingston, Billie Piper and David Tennant, two autographs come in each box set. All signed cards are numbered and the versions include Blue (#/50), Bronze (#/25), Silver (#/10), and Gold (1/1). 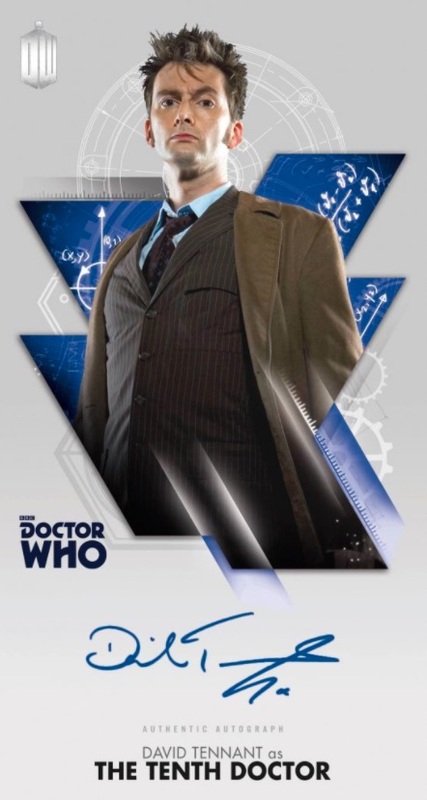 Issued in a Tardis-themed box, 2016 Topps Doctor Who Tenth Doctor Adventures Widevision is sold through Topps' online store. The set retails for $99.99 and total production is capped at 1,500 boxes. These are not final cards. Designs and contents subject to change. 2016 Topps BBC Doctor Who Widevision Annette Badland as Blon Slitheen Auto!!! 2016 Topps BBC Doctor Who Widevision Chipo Chung as Chantho Auto!!! 88 cards. 1 set per box. Shop for boxes on Topps. 38 cards. 2 per box. Shop for boxes on Topps. Card Versions: Blue #/50, Bronze #/25, Silver #/10, Gold 1/1.